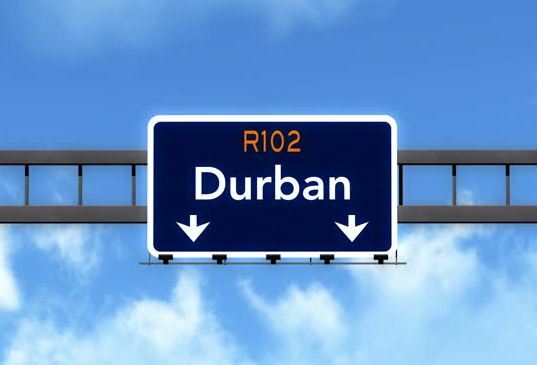 Emergency services have rescued a new-born baby from a stormwater drain in Durban, South Africa, after a 3-hour ordeal. The baby girl, whose cries alerted neighbours of her presence, was airlifted to the Albert Luthuli Central Hospital for treatment on Monday, before being moved to another facility. The incident is being treated as an attempted murder case as officials try to trace the girl’s parents. The baby was tended to by paramedics at the scene after being brought to safety several hours after being discovered, while the huge crowds that had gathered to witness the rescue, cheered on. Local journalist Bernadette Wilks told Reuters that the infant escaped with only a mild case of hypothermia and ‘a few minor abrasions’. Wilks added that it wasn’t known at that point how the little girl got stuck in the drain, in the Newlands East area of Durban. The local community came together to help the rescue effort by donating kitchen cupboard doors to reinforce the dig site so earth and mud wouldn’t collapse on the little girl, according to Wilks. A doctor who tended to the baby at the Albert Luthuli Hospital called her a miracle.